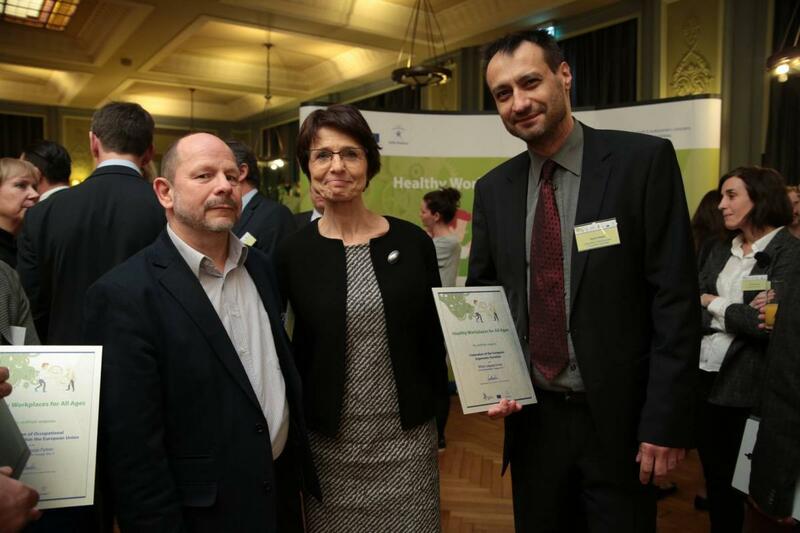 As part of the 2016-2017 Healthy Workplaces for All Ages campaign of the European Agency for Safety and Health at Work (EU-OSHA) an Official campaign partner meeting was held, where results of the campaign partner category of Healthy Workplaces Good Practice Awards was presented. a 56 % reduction in sedentary time. In the last 2 years, accidents through overstrain have more than halved. 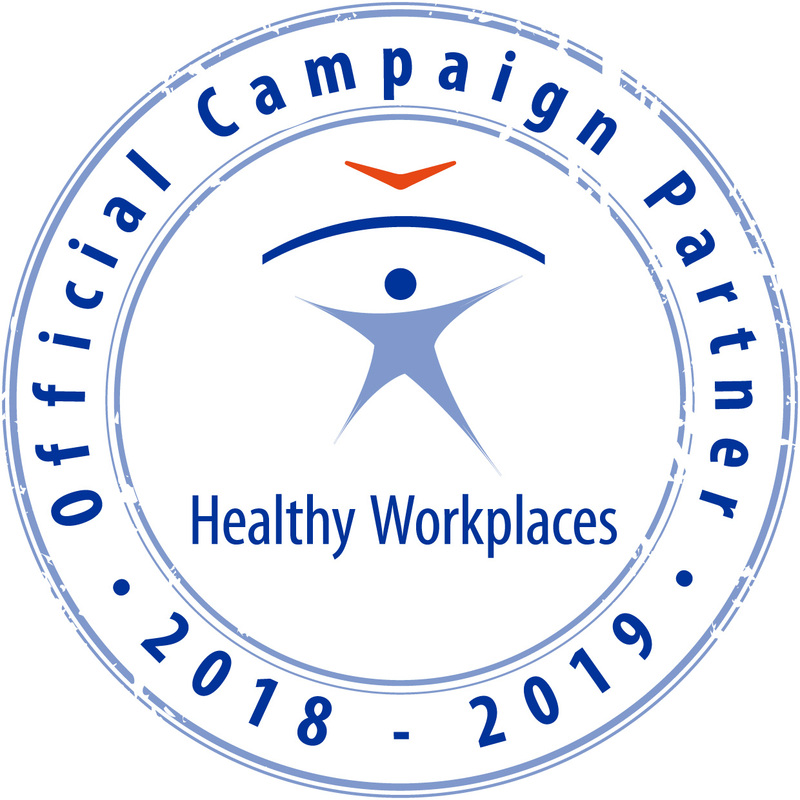 The proportion of employees who took leave of absence as a result of an accident decreased from 20 % in 2006 to 5 % in 2014. Since undergoing treatment with the physiotherapist, none of the employees who experienced overstrain injuries has experienced a similar injury. 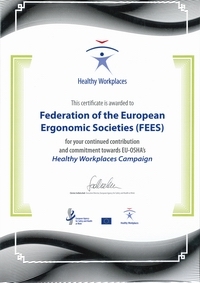 On the photo Marianne Thyssen, European Commissioner for Employment, Social Affairs, Skills and Labour Mobility, Karoly Gyorgy, chair of the EU-OSHA Governing Borad (left) and Gyula Szabo (right) with the certificate that recognises the Federation of the European Ergonomics Societies as an Official Camapign Partner.